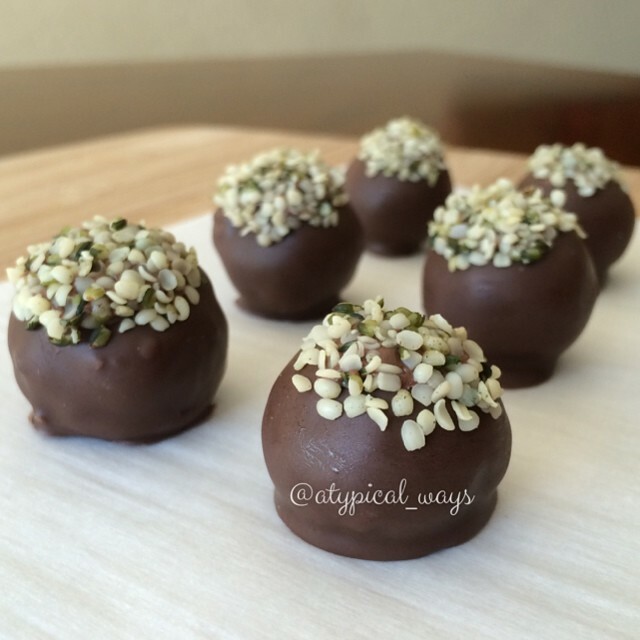 Chocolate covered Hemp Hearts & Honey Bites! I just took 1oz of hemp hearts & mixed it with 1tbsp of honey and then rolled them into 6 little balls. Placed them in the refrigerator for about 30 minutes to harden a little bit. Next I melted a few chocolate wafers and dipped them & then placed them back in the refrigerator. Super quick & simple! Hi, I’m using free version of wordpress! And out of curiosity, how did you find me?! !